How do i enhance my curls? So i have 2b wavy hair, but lately my "curls" have started to fade out a bit. I don't know if it the weather changing or if im doing something wrong. 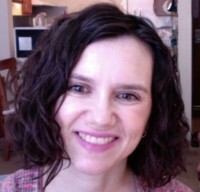 When i just got my hair cut (august) i had really pretty enhanced curls, but now they are just not as pretty. I was looking for some easy tips on how to enhance my 2b curls. The weather could definitely be the culprit, or maybe you need to clarify to get rid of styling product build-up (I would use a sulfate shampoo for that). For me, when the weather gets dry (is that what you are experiencing? ), I start using a heavier leave-in conditioner (one with more oils near the top of the ingredients list), and I do deep conditioning treatments once a week. Some people also put a couple of drops of oil on their hair when it is wet to seal in the moisture. It may also help to add a hairspray to your regimen if you can find one that is not drying to your hair. That will help keep moisture in your hair instead of it being lost to the dry air around you. To be honest, my hair simply doesn't look as good when the weather is dry.